Merijn Tol, a great writer and cook wrote a beautiful article in the October edition (2018) of delicious. magazine. She wrote about my passion and together we integrated my sourdough into her recipes. Click here for the single edition! My version of Neapolitan Pizza: solo con lievito madre! Several colums in “De Betere Wereld”, an lifestyle magazine that is available online and in several (organic) stores. 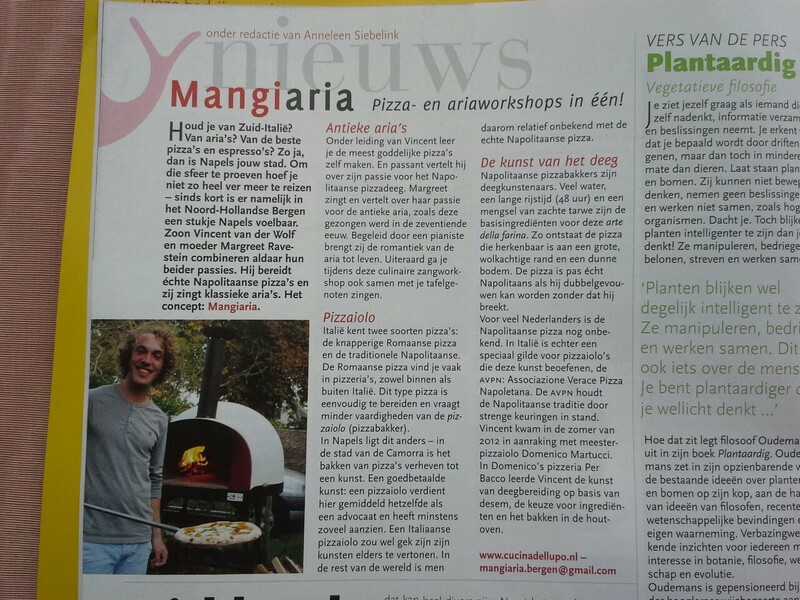 Slow Food Holland wrote a nice article in 2015 about my project from the past: Neapolitan pizza’s, local products and ancient arias! 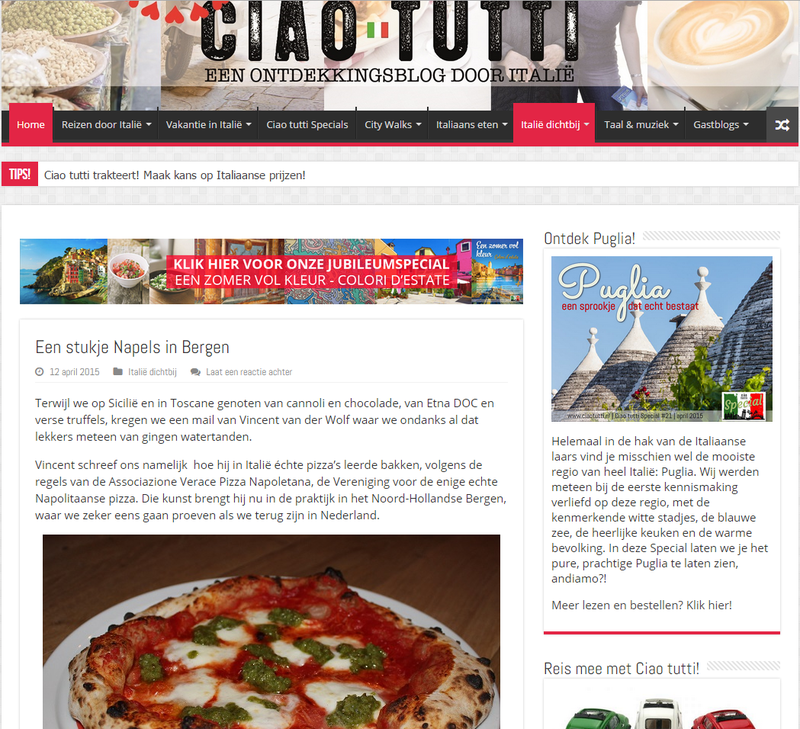 Also Ciao Tutti wrote a nice article on their inspiring Italy-blog.